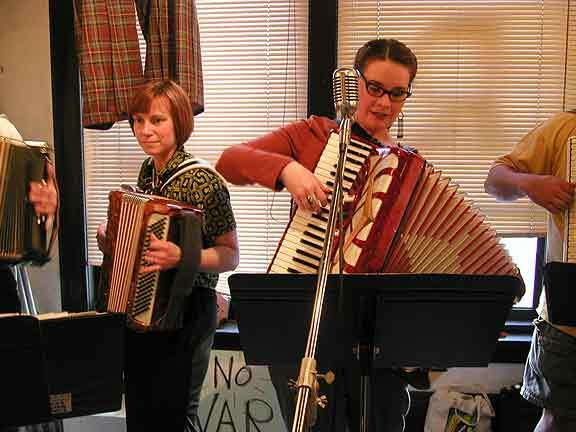 The Riverwest Accordion Club - Live at KM art Gallery. Performing a mix of classic polkas & ABBA hits! Linda Mueller, wife of Kent, shown at left fondling the squeezebox.